A 37-year-old man is in critical condition after being attacked in Wrigleyville following the Cubs’ game on Monday afternoon. Charges are pending against two suspects. 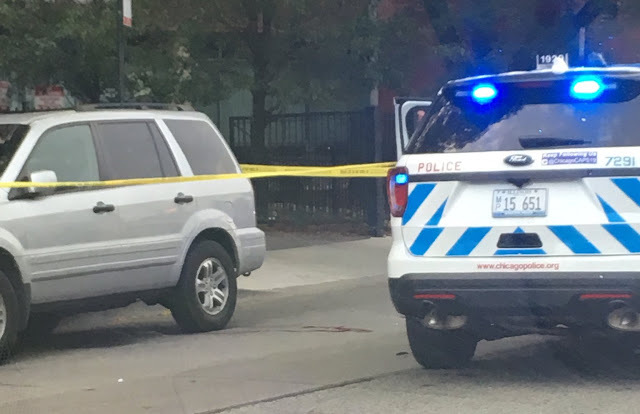 Police said the 37-year-old man was in the 3900 block of North Clark Street around 4:15 p.m. when two men exited a large black SUV and struck him in the face. The victim fell back, hit his head on the pavement, and lost consciousness, police said. The offenders fled the scene, police said. Police arrested the suspects about 30 minutes after the attack when their SUV returned to the scene. The men were subsequently identified by a witness. Witnesses reported that the SUV had Wisconsin license plates and at least some of the occupants of the vehicle were wearing Milwaukee Brewers jerseys. Another witness said the victim threw a beer at the SUV before the attack. The Cubs lost to the Milwaukee Brewers in Monday’s game. The victim is being treated at Advocate Illinois Masonic Medical Center. CWBChicago will update our reporting when charges are finalized.